We've rebranded! A big update and what's next for CIBII. | Can I Breastfeed In It? Nat here (founder of the group back in 2015!). As I update the cover photo with our new branding (which you may have noticed elsewhere), I though it would be a good opportunity to give you an idea of where CIBII is at and where we’re headed. March this year marked year THREE of CIBII’s existence (where has that time gone?!). It largely went by unnoticed because I was struggling to run the brand on my own. So I did the sensible thing and asked in the group for someone to help me push the group and brand further, and thankfully I found the perfect person to help me. 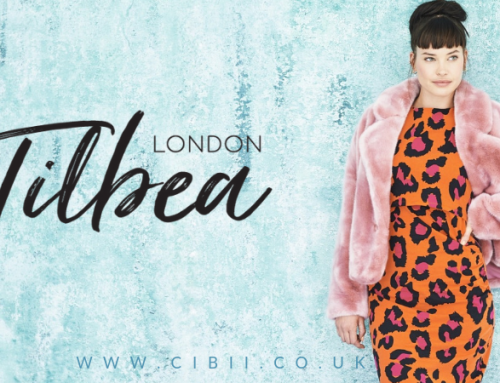 You might have seen Emma pop up here and there, although she is largely posting as the CIBII Facebook page, giving us all reminders that the Hot Favourites list is there, creating weekly roundups and letting us know where we can buy stuff. I can’t even tell you how amazing she’s been in breathing life back into the group and website. I am so grateful for her passion and enthusiasm for CIBII and look forward to a long future of working together. Emma has helped me find focus on how to utilise the group and website to its full potential, as well as helping centre our content around fashion (which isn’t so much my strong point!). We’ve been able to utilise affiliate links, which give us a small amount of commission when you buy items from certain online shops without any additional cost to you. With shops also tracking sales via these affiliate links, this also highlights the buying power of breastfeeders and means that they are starting to listen to what you want. Companies are starting to realise that the market for breastfeeders is not what they thought it was, which means that hopefully we can start working with some big brands (we are already in touch with the likes of Tu and F&F as you know) to get them producing items with the features you want to see. Affiliate commission also means CIBII can get bigger and shinier, and ensures we can keep bringing you fresh content. Excited to say I will be attending Boobstock this September in Glasgow and helping host a fashion show, with lots of clothes from some of our favourite small businesses. Dr Amy Brown (you may have seen her in Channel 4’s Dispatches!) will be there giving a talk which I am very excited about as well as a fabulous photography exhibition exploring diversity in breastfeeding. I hope you can join us and say hi! Tickets available here. 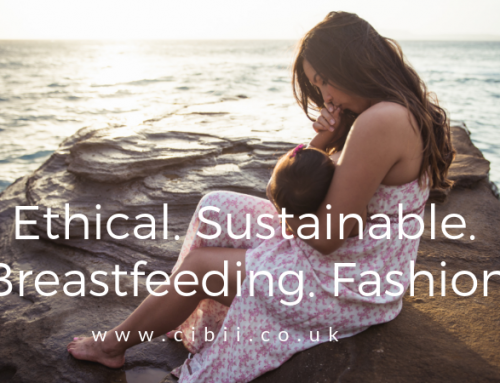 Because we want to be able to support breastfeeding and give back, at the end of our financial year next April, we will donate 5% of our total profits for 2018 to a charity of the group’s choice (we will put it to vote in the group). So please, do use our links where possible! And linking to our Hot Favourites/Roundup if you’ve bought something from there helps too when you are making new posts! We are also trying to bring small businesses to the spotlight more. So far, we’ve featured up and coming brands such as Mint Rainbow, Ruma, Human Milk, MumMe, Laurella Mama, and Golden B. We hope to bring you even more in the future! You can help support these companies too, not just by buying from them but by interacting with any posts you see about them and following their Facebook pages. So, what’s in the future for CIBII? Well we’ve recently launched our Australian website for our Aussie sister group which is getting bigger everyday! So that’s quite exciting! 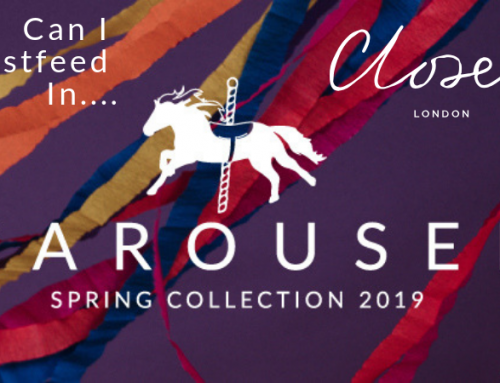 Our mission is to make clothes shopping for new breastfeeding parents that little bit easier, by pushing brands to recognise the breastfeeding market, bringing you the best selection of breastfeeding clothes and latest news that we can. We will keep working on improving how we present that information to you and will be doing surveys later this year to find out how we’re doing and how we can be better. 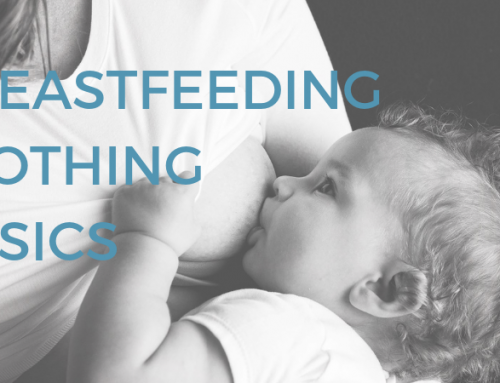 We will use our platform to normalise breastfeeding – especially natural term and give support and information where we can to help people along on their breastfeeding journeys. I want to take a minute to give a massive thanks to every single admin and moderator in each of the CIBII groups, in particular those who provide online peer support in the breastfeeding support group, completely voluntarily with no reward other than the satisfaction of helping fellow parents on their feeding journeys. I hope that in the future as CIBII becomes more successful, we will be able to repay our peer supporter volunteers in some way and ensure the support is sustainable, as well as making sure the support remains at the amazing quality it currently is as the group grows. As for the non-peer supporter admin across all the groups, its because of them the groups are still going and I am eternally grateful for all their time and effort they have put in and continued hard work to maintain pleasant and positive environments. And thank you to all of you, to everyone who has contributed to the group and clicked on our website. Thank you for making this community the amazing thing it is today. I’m trying to get into the habit of doing a regular (it’s currently occasional 🙈 so no need to worry about being spammed) email roundup – if you want to make sure you catch all our posts then do be sure to sign up here!